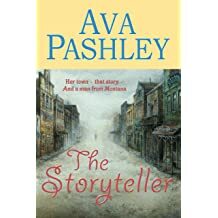 Ava Pashley is passionate about writing and about storytelling, so perhaps it is fitting that her first romance/mystery is called The Storyteller. She is also an historian and is multi-published under another name. One of her great loves is travelling to the beautiful Medicine Bow Mountains in southern Wyoming, which is the setting for The Storyteller. This beautiful region of Wyoming, with its breath-taking natural beauty, lively history, friendly people and sense of adventure, provides profound inspiration for her writing. Her website features The Storyteller on Location, where readers can view for themselves locations that inspired the setting of the novel. 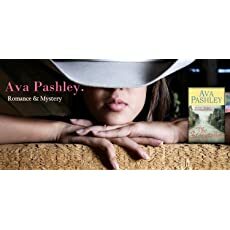 Readers can also tap into Ava's inspiration for her characters, locations, history and other fascinating features in the novel by following The Storyteller on Pinterest. 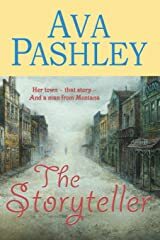 On her romantic protagonists in The Storyteller, Ava says: "Vicki is a young woman who through the sheer exuberance of her imagination is prone to exaggeration. Will, being a steady young man who is realizing that there is more to his life than what he's known, simply cannot resist her. Their journey is about being the person you need to be, living the life you are meant to live, finding the courage and the means to make it happen. And that might just mean not doing it all on your own as you thought." Welcome to Ava on Sunday. A new year, a new blog! And a new novel... The Storyteller. It's that time of year when all the New Year’s resolutions come out, parade around showing off their plumage for a bit and then stride with whatever dignity they have left back into the hole of good intentions from which they came. Goodreads Book Giveaway Now On! A great deal of excitement surrounds the giveaway of a novel. What better way than a Goodreads Book Giveaway. And what better way to celebrate the romantic month of February than with a romance! Okay, that part was a coincidence, but you can't blame a girl for trying. Already February is turning into my favourite month. Dear Readers, you have all of February to enter. Then 15 copies of The Storyteller will be off to new homes.